Design: The 1792 has INDUSTRY – LIB – PAR – OF – SCIENCE around the inside rim, and is translated as “Industry and liberty on par with science”. This coin doesn’t have a mint mark and was minted in Philadelphia, as most early US Coins were. 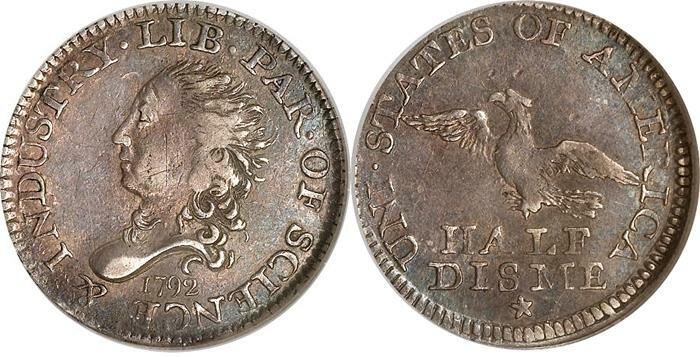 Is the 1792 Half Disme the first coin minted by the US for circulation? 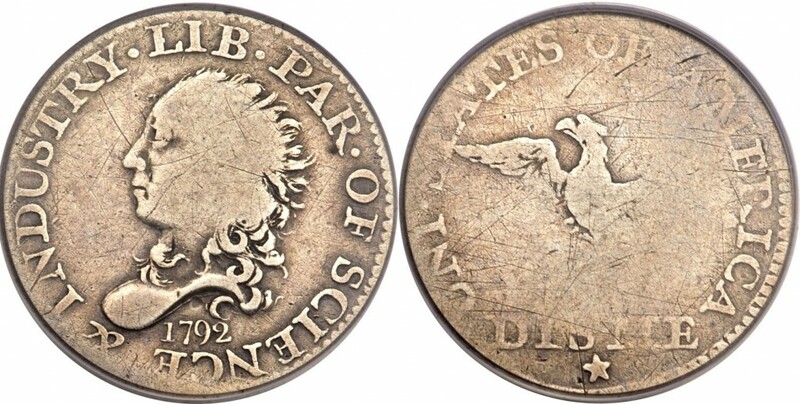 1792 Half Disme value, considered by some as the first US Coin minted for circulation.